All I Need does not aim to make Foxes stand out amidst an overcrowded pop scene, but it still guarantees some of the pop singles this year will see. Call this either a blessing or a curse, but no one sounds like Louisa Allen, the musician better known as Foxes, in this current pop music landscape. In this state of affairs, there’s no guarantee this particular feat can be seen as leverage. Having gained widespread recognition after a very successful hit featuring Zedd, the now infamous “Clarity”, Foxes’ 2014 debut Glorious aimed at perfection, perhaps to no avail. The songs sounded like the products of a very particular time capsule – the aughts. The tracks off Glorious are extremely polished, candid even. They're anthems, songs representative of youth as an ideal. “Don’t tell me our youth is running out”, she used to say. In a way, her work has always been evocative of that ideal that permeated so much of the pop produced during the last decade; Perfect Pop, that is. Which is to say Foxes has always made sure, even from the beginning, that her sound was already a complete idea. No major adaptations needed to be done along the way. Been there, done that: that seems to be her motto. 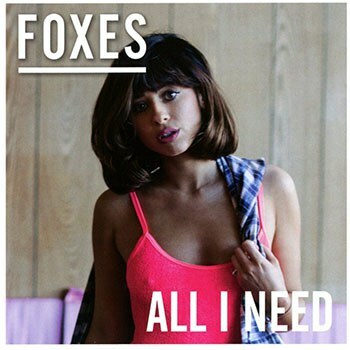 So it’s fitting that All I Need, Foxes’ new album, emerges without bringing any significant changes to her sonic palette. Yet, it sounds, in many ways, like a much needed refinement of her previous work. In order to adjust to the fact that all major label pop albums are done this way nowadays, no major themes prevail on the aptly titled All I Need. This is a record which relishes on youth and pure pop songcraft, catharsis and freedom, lust and sadness -- even twee. As the title seems to suggest, Foxes attempts to embrace the world. The songs sound huge enough to suggest the seriousness of such endeavor. The question pending an answer is if she actually goes all the way in order to pull that off. All I Need covers some vast emotional territory. Above all, it's ambitious. This is why the fact that Foxes starting the album with an interlude can be seen as a disproportionate act. “Rise Up” is a bold statement and can make the listener wonder why it hasn’t become a song. Until, of course, the cellos and overall classic tone are revisited in its reprise. It’s a smart move that seems to encapsulate what All I Need is all about: for the first time, Foxes is preoccupied with making up an Album, in the increasingly meaningless sense of the word. A cohesive whole which, ultimately, is able to tell a story and convey a strong, consistent set of emotions. Even if that means, at the expense of a sense of ridicule, replaying a track by, of course, showcasing the whole song. Still, Foxes has other things to be concerned about. Ever since her debut, critics have been eager to call her out on her apparent lack of very particular features. In truth, there's nothing that's supposed to make her stand out amidst this overcrowded pop scenario. As said, no one truly sounds like her, but there are still comparisons left to be drawn: her voice is unique, possessing a drug-like quality, yet the production is easy to be paired with the likes of Robyn and Tove Lo. She's sitting at a crossroads, until now unable to position herself against others more well-established names in the pop landscape. That is why so much off All I Need relies heavily (and quite successfully) on Perfect Pop as an ideal: first single “Body Talk” is all about gimmickry. A “Teenage Dream” hook, heavy production, possessing a nostalgic sentiment even, the cover does not let me lie anyway. 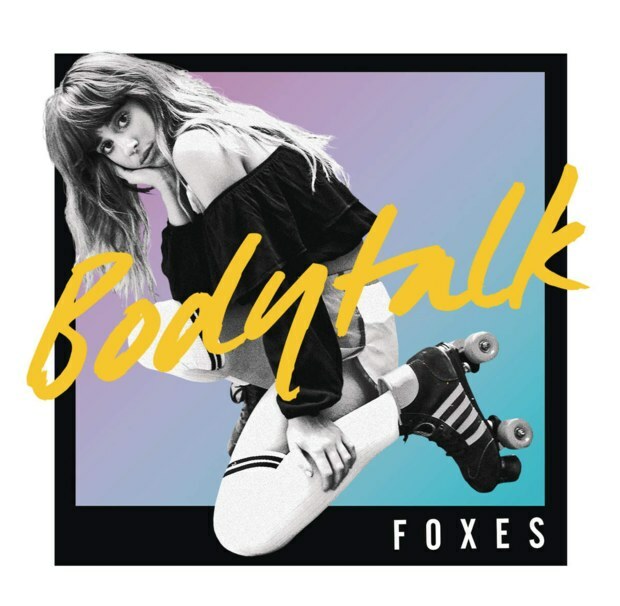 Foxes’ most recurrent theme in here is still youth as an ideal to be pursued, and that, along the way, encompasses love as something to be conquered, to be finally overcome. “Amazing” is the best showcase of this: a track that aims at wanderlust and hits at twee, it is, in a way, Foxes at her best. Louisa’s ramblings about never giving up on youth actually sound more concrete now. This is, put better, twee for 20-somethings. In the search for a more distinct voice amidst the crowd, All I Need offers some new territory. “If You Leave Me Now” is the album’s most emotionally resonant ballad and, at times, it defies said categorization. It's above all vague, and fails to portray Foxes’ persona as something unique, making her finally stand out. Yet, perhaps that’s what makes it resonates so much. Its effect is of a postcard message. It's aimed at no one in specific and is still able to resonate. That is all to say that pop criticism has relied for too long on a suffocating search for identity, on crafting a given narrative for pop stars, having consequently forgotten about the more immediate aspects of the music itself. This may explain why Foxes has failed before to properly stand out amidst this overcrowded pop scenario; there was nothing before that could make her more unique to the eyes of people eager to insert her music into a given narrative. All I Need doesn't offer a solution, nor a way out. In a way, it follows Glorious in its exact same terms. It features some of the most brilliant pop songs this year is going to see, mainly because they rely on passé (as of now) concepts such as songcraft and technique. It is, as some tend to be, an accomplished album. It does what it aims to do: good and personally revealing pop music. There's nothing wrong with wanting, and accomplishing as an artist, just that.